Here is a question for you...are you getting more sentimental and appreciative the older you get? I think I am. Today I found a sense of calm and happiness in the simplest thing. These cone flowers from my garden. I have been meaning to pick some for the last week or more. So today, even though I was running late and even though it raining, I did it. I cut some! I continued to the store in my usual whirlwind manner and arrived at 9:58am. Yikes! (I am definitely in summer mode right now!) I proceeded to my latest yard sale find (crown mason jars!) and filled it with water and the flowers. And abracadabra.....time stood still. Just like that. Pure joy. That's all it took. Don't see the one you want in store? Just ask and I will order it in for you! Repousse Collection - Imagine using these on a thank you card? And more joy? Yesiree. Check these out. Fun. Clear stamps. $2.50 each. 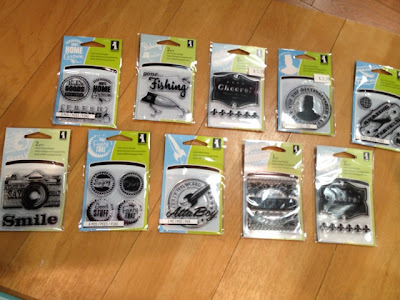 You asked for more masculine stamps....you got them. They are too fun to pass up. So what do you think? Are you feeling the love? Tuesday was a busy day. Do you ever start one job and it leads to 50 more? It was a productive day though. Have a look at what I accomplished! 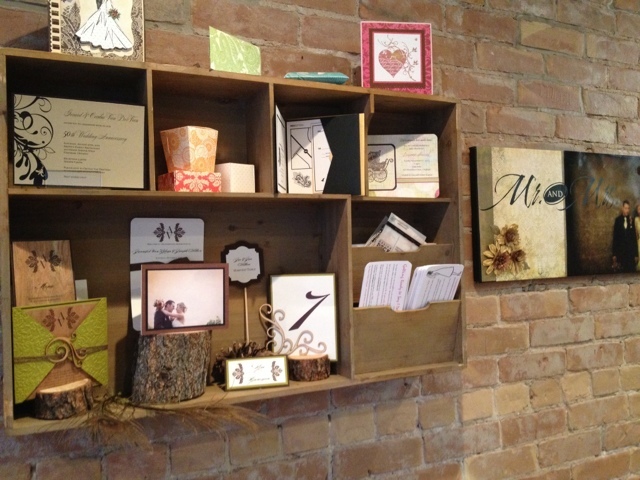 I have been trying to design a cute little area to display our invitations and make it easy for you to be inspired to create something truly unique for your special event. 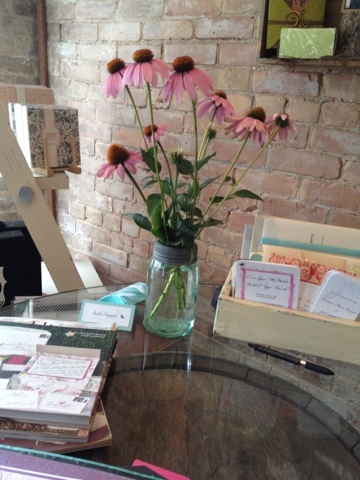 Make yourself at home and flip through the pages of our album which sits nicely on the pickle barrel table! You can customize any of these invitations to suit your style and colour scheme. Invitations can be designed to stay within your budget. Assemble yourself is a great way to save money and have a little fun! Here is a closer look at some of the stationery we have designed for various occasions. So this is what kept me busy ALL day yesterday! 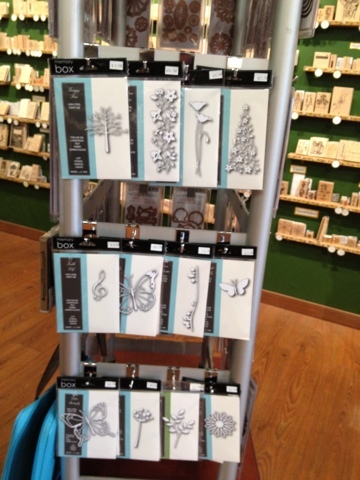 This is just some of the beautiful product you can find at The Paper Pickle! 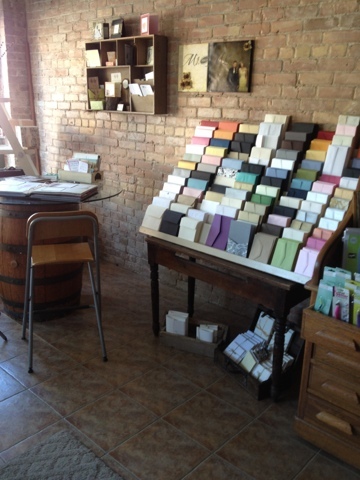 We have envelopes in various sizes, colours and finishes (matte, shimmer, etc.). 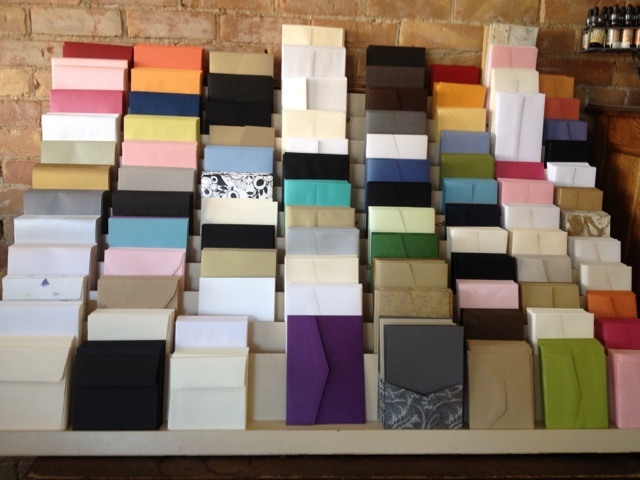 I think my new display shows a nice selection of pockets and envelopes from our various suppliers. Our main supplier is Envelopments. 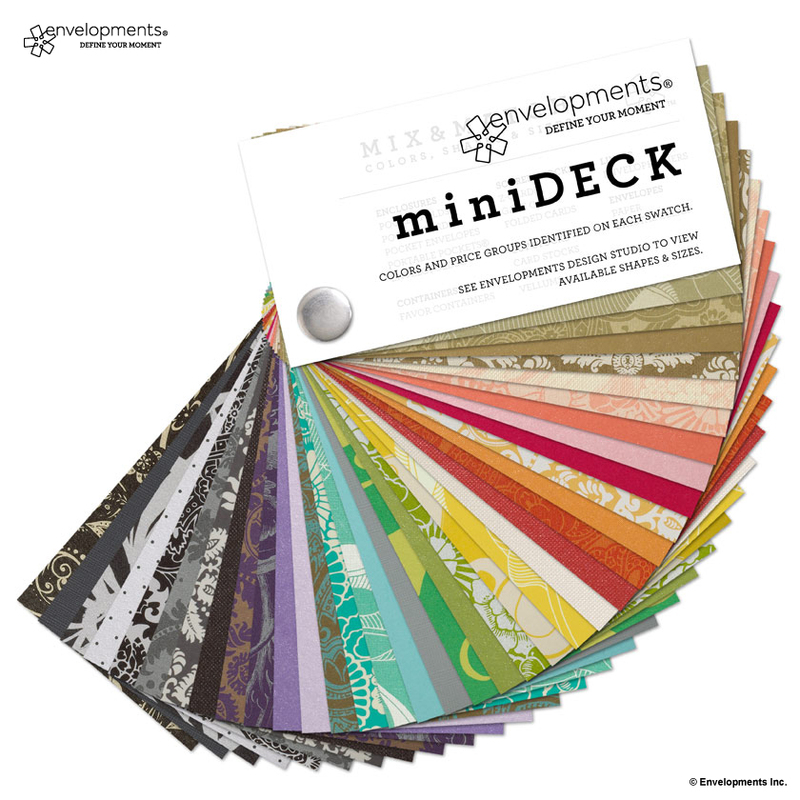 Here is a look at just SOME of their gorgeous pattern cardstocks available in any size and shape of enclosure they offer! You may have seen some of these in the racks at the back of the store. 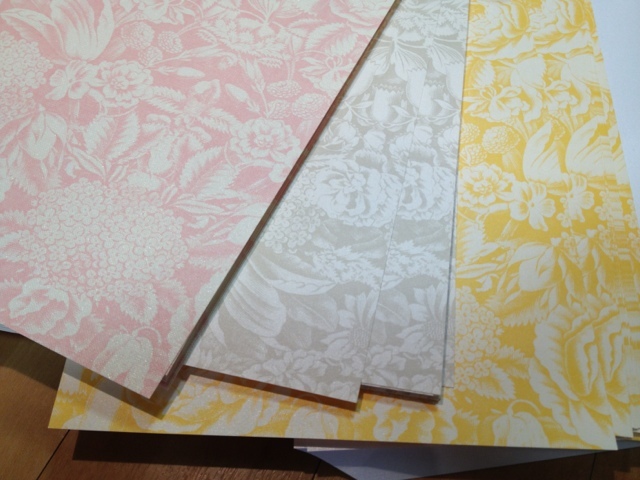 Hey....Imagine these papers on a hand stamped card for a good friend?!? Are you inspired yet? What party are you going to throw now that you know we can help you with the invites?!? 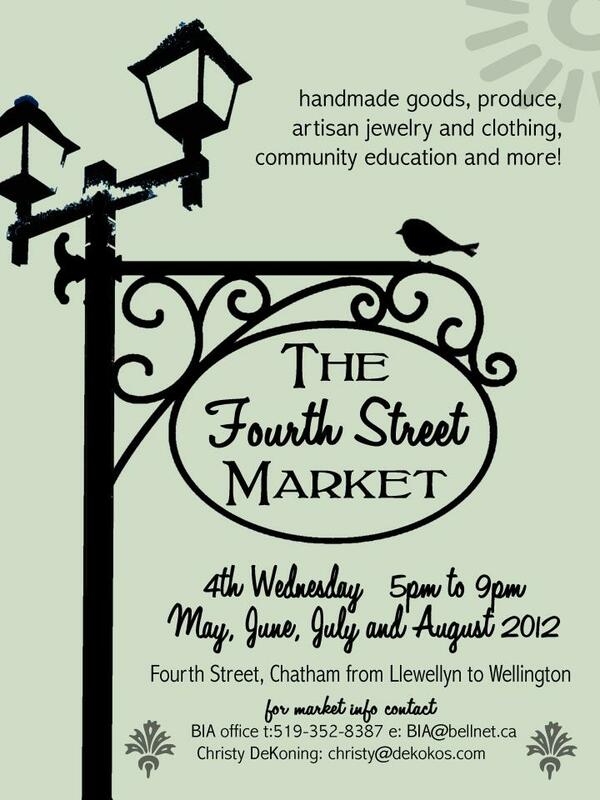 We will be open late Wednesday, July 25th to coincide with the Fourth Street Market. 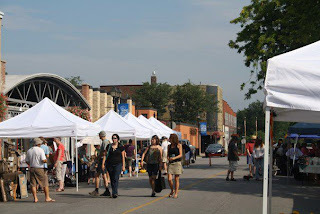 Have you been to The Market yet? Such talented people, selling some wonderful product! This is MY kind of shopping. The Pickle will be open from 10am-8pm! Come in and see what I have been up to! It's all happening....summer! It is the one time of the year in which time travels at the speed of light or can slow right down as you enjoy a day at the beach reading your favourite book. Impromptu parties and BBQs are the norm. There are festivals galore. Camping trips. Kids running through the sprinkler. Sparklers. Smores. Life is good. So here is my question to you? Are you capturing documenting these memories and moments? Not just capturing them on your phone. You know....writing some of these little notes down like the summer of 2012 was the summer Julia learned to do a back roll AND draw a star and this was the summer when Coulter caught his first fish but wouldn't touch it but rather held it up for a picture with a stick! Or that 2012 was the first summer in which I have struggled to find a theme song....what?!?! I know. I know. You know you SHOULD do it but honestly, WHO has the time (please see my opening paragraph)?!?! So here is THE solution. I have said it before, but I will tell you again. This is THE KEY to balance. The key to satisfaction. The key to FUN. It really does amaze me that this one little product can appeal to so many people.....maybe it is the price point ($14.99) or maybe it is the ease. I don't know. All I know is that I love it and you will too! Just watch this video (again...I know!) 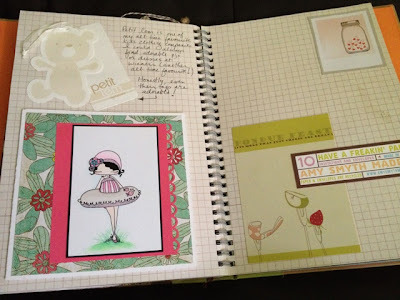 but it will really show you how this one little album can feed that creative soul during this BUSY, BUSY time! Here is a look at a couple of pages from my book. My book is all things I love. Many pages include my love of paper and beautiful products. It also includes ticket stubs and pictures. It is part journal; part scrapbook and 100% me! No need to think. No chronological order. Just memories. Just love. 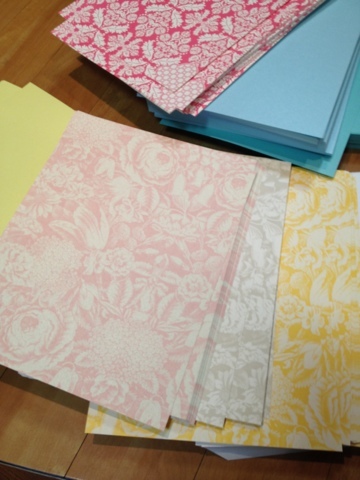 I bet even a card maker would love a smashbook....a place to stamp your favourites or show off a design or document techniques....come on. Look how cute my Lulu will forever look on my page! AND they are back in stock! 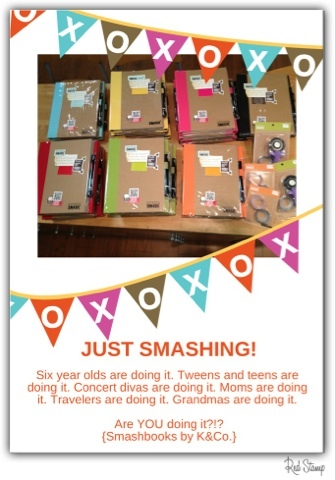 So if you are looking for something for your teenager who is "bored already" this summer or for a cute little album for a mom-to-be or for someone who is a big-time traveler or....or....or.....check them out! Ok. I'm done. I promise not to swoon over my latest crush here on the blog again...well, maybe I may have to say a little something after seeing their new releases at CHA. We also have an amazing sale table with up to 90% off! Come on. Ryan says it's ok! What a gorgeous morning! 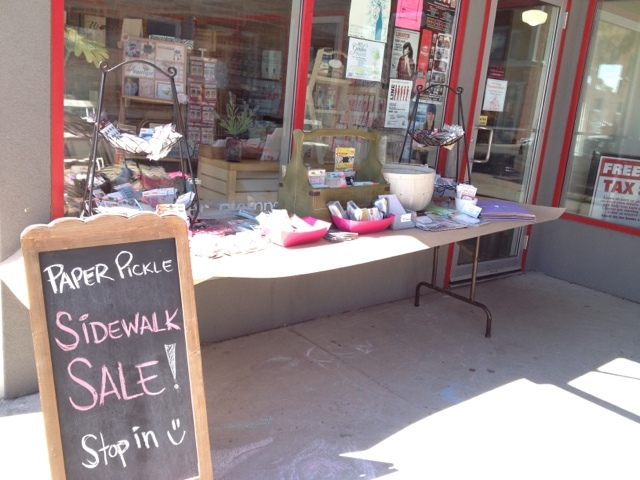 The temps have come down a little so we have moved the sidewalk sales outside...what a novel idea! I have also decided to sweeten the sale a little more. 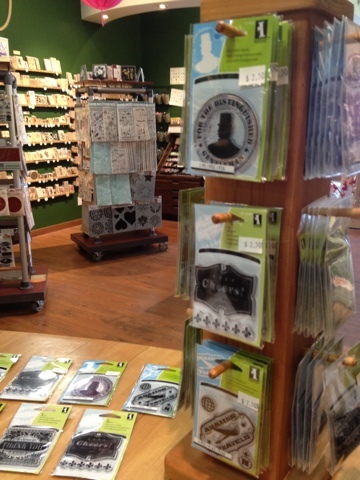 I have added a bunch of new items to the table including 10 packs of 12x12 multi-colour cardstock for $2 (regular $8) and a ton of wood mount stamps at 50%+ off. 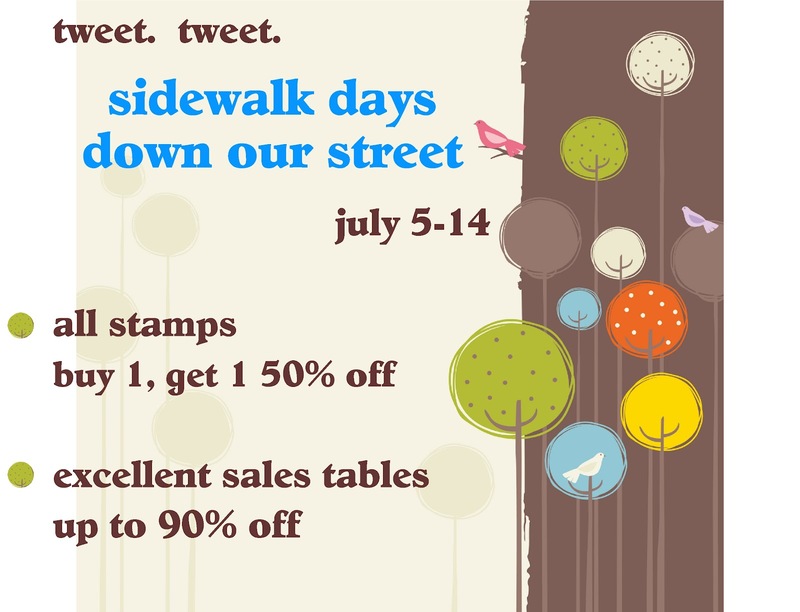 The sale on all our other stamps continues until Saturday (Buy 1, Get 1 50% off). Remember, summer hours are in effect. Tuesday-Friday 10am-5pm and Saturday 10-3pm. See you soon! What!?! Sidewalk Days ALREADY?!?! Check it out. 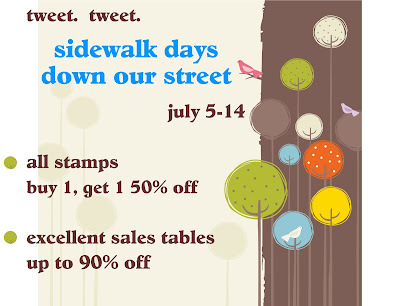 Amazing sales that every-birdie will be singing about! It's that time of the year again! A time were life is easy and carefree. A time when BBQ hot dogs for dinner with a side of dill pickle chips is fine and dandy....ask long as it is followed with some juicy watermelon for dessert! 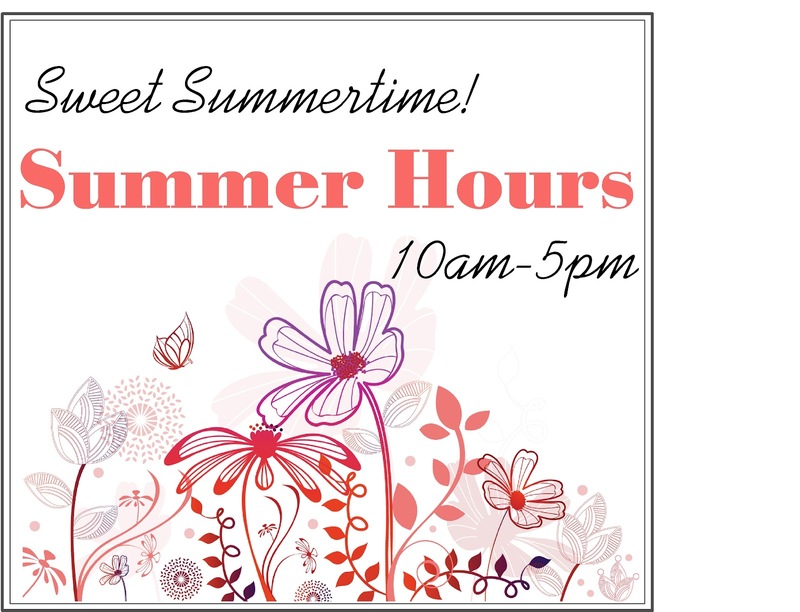 I think I am going to take a little extra time off to enjoy the kids this summer and so my "summer hours"! 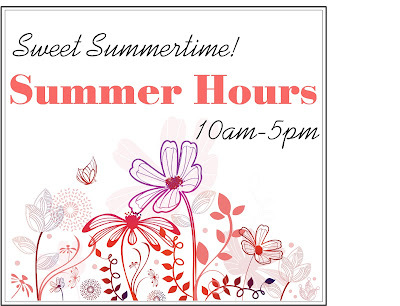 We will be open Tuesday-Friday 10am-5pm and Saturday 10am-3pm. I will make note, that if you are ever in need of "The Pickle" during off times, please give me a call ahead of time and I will do my best to meet you when it is convenient for you! I hope you are enjoying every moment of this glorious time of the year!